is packed with 15 squat variations to target core, glutes, and legs from every angle. Set this for the greatest assistance if you find squats challenging. Set this if you can do standard squats but want to try other variants. Set this if you find squats easy and want to challenge yourself. 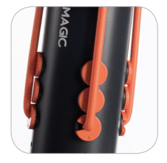 Squat Magic is the new revolutionary fitness device that helps you squat with ease! 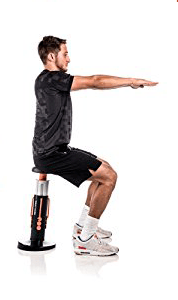 Utilizing the calorie-burning and booty-sculpting power of the squat, its patent-pending Squat Assistive Technology (S.A.T) guides you on the way down and gently assists you on the way up, helping you perform a textbook squat, PLUS target 5 muscle groups in 1 safe guided move! All with virtually no strain on your knees! It’s like having a personal trainer right in your living room. 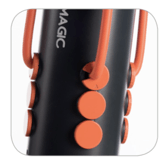 Not only that, but with adjustable resistance bands and beginner, intermediate and advanced settings the Squat Magic offers a fully customizable workout to fit your fitness level and needs. 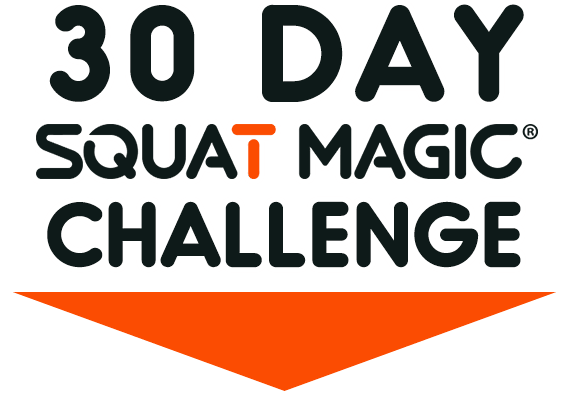 If your goals are to build your booty, slim down your legs, strengthen your core, and see results fast, then the quick and easy 30 day Squat Magic challenge is perfect for you! Try the Squat Magic risk-free for 30 days and if you don’t get the booty and body benefits from the Squat Magic simply return it and owe nothing further - with no questions asked! The Perfect Squat Every Time Without Stress on Joints! 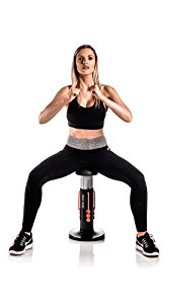 Perfect for Any Fitness Level! 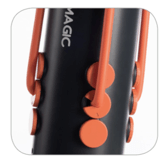 Try Squat Magic RISK FREE for 30 Days! "Great product - Very easy to use. Used it on the first day -- no set up. I have bad knees from running & an old back injury. Worked exactly as I hoped." "I didn’t know exactly what to expect and I do really like this squat stand. As reviewers have said, it’s easier on the knees than going solo, which is why I bought it. My husband assembled it since he likes to assemble any and everything but it looked easy and took him 5 minutes. After my first use today and first set of reps, I could quickly feel the quad burn." 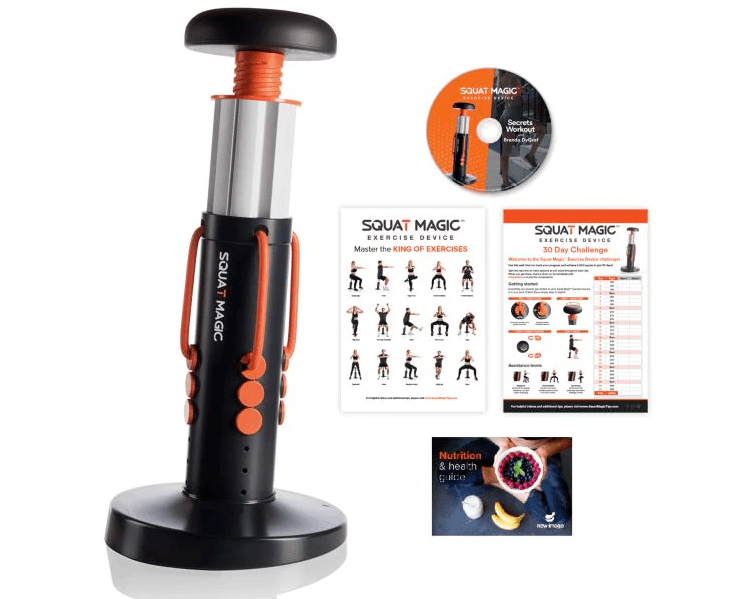 Offer Details: Squat Magic 30 day Trial Offer – pay only $1.00 + $19.99 P&H today. Try it for 30 days and then Squat Magic will be yours to keep for just 1 payment of $99.99 automatically billed to the same card that you use today. Plus your order is covered by our 60 day money-back guarantee so if any reason you’re not satisfied with your Squat Magic for any reason simply return it for a full refund, no questions asked. 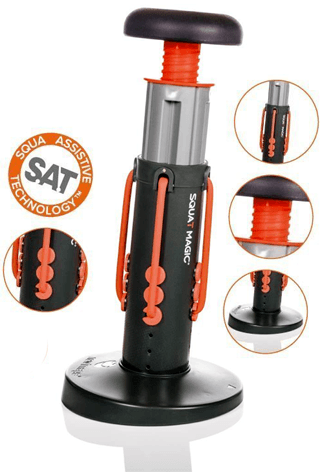 Offer Details: Squat Magic One Pay Offer – pay just one easy payment of $99.99 today and we’ll waive the trial fee PLUS upgrade your entire order to include FREE processing and handling (P&H). That’s an instant $20.99 savings. Plus your order is covered by our 60 day money-back guarantee so if any reason you’re not satisfied with your Squat Magic for any reason simply return it for a full refund, no questions asked.